People in Springhill now have shorter waits for emergency and primary care. 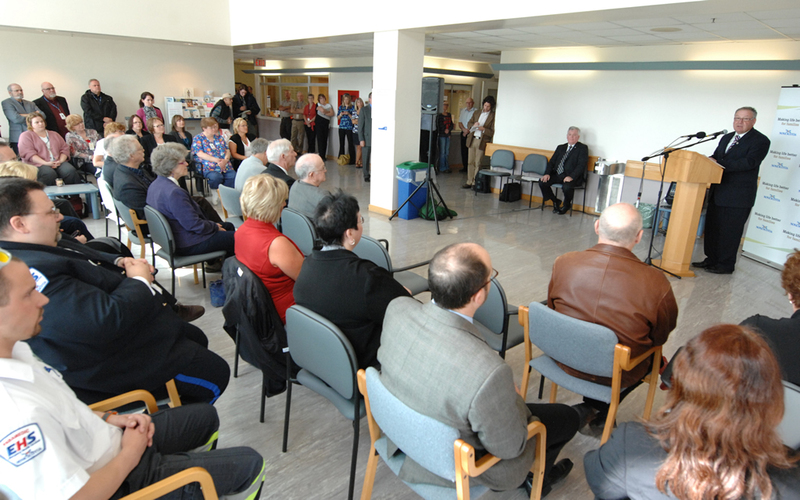 Premier Darrell Dexter officially opened the province's second collaborative emergency centre at All Saints Hospital. Collaborative emergency centres keep emergency rooms open, reduce patient wait times and provide a team-based approach that offers continuity of care. This ensures that patients can get the appropriate treatment before a minor health issue turns into a health crisis. 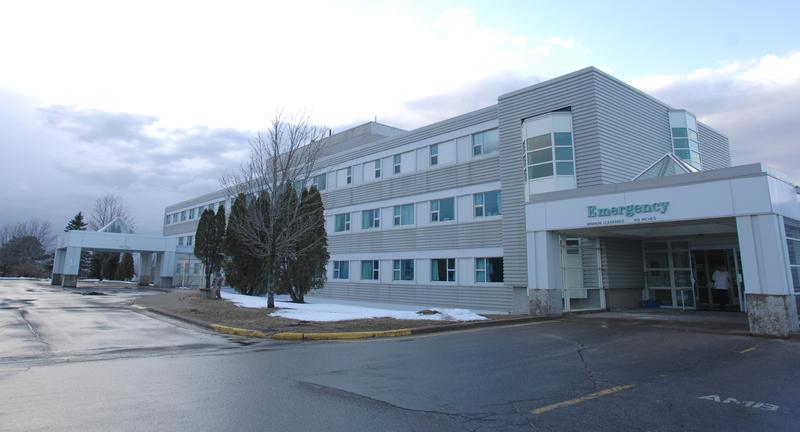 During the day, doctors and nurse practitioners are available at the collaborative emergency centre to treat patients. Between 8 p.m. and 8 a.m., a team including a primary care paramedic and two registered nurses staff the centre to ensure patients get the care they need. An EHS oversight physician provides assistance by phone. The province will announce at least four more collaborative emergency centres this year. 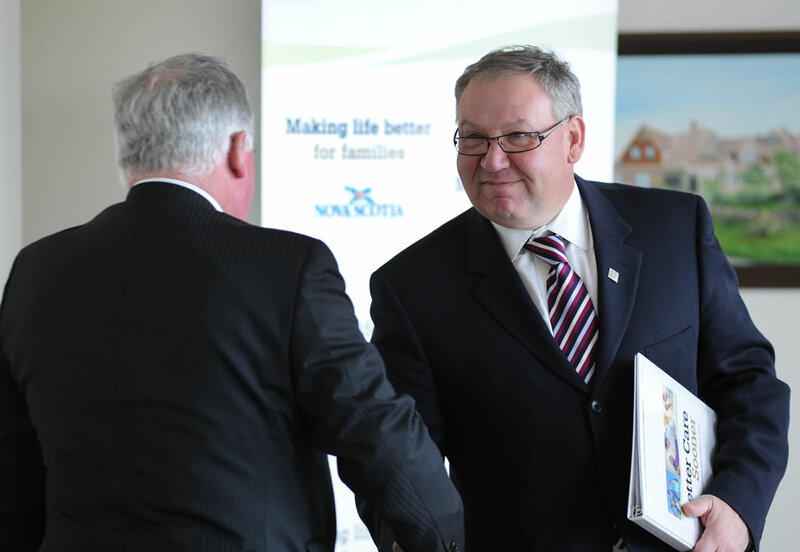 Premier Darrell Dexter speaks in Springhill at the official opening of Nova Scotia's second Collaborative Emergency Centre. 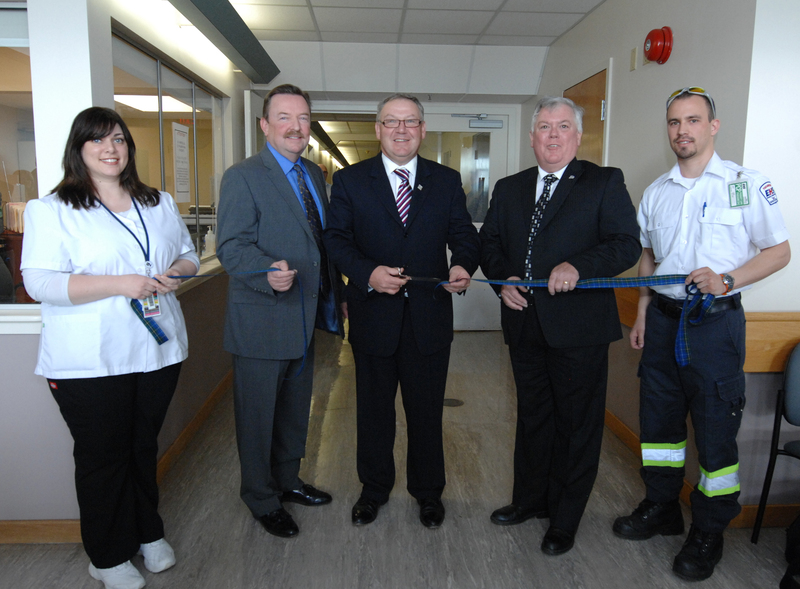 FROM LEFT: Nurse Janine Ryan, Cumberland DHA CEO Bruce Quigley, Premier Darrell Dexter, Cumberland Health Authority Board chair Bruce Saunders and paramedic Kristopher Mollon cut the ribbon at the opening of the Springhill All Saints Collaborative Emergency Centre. 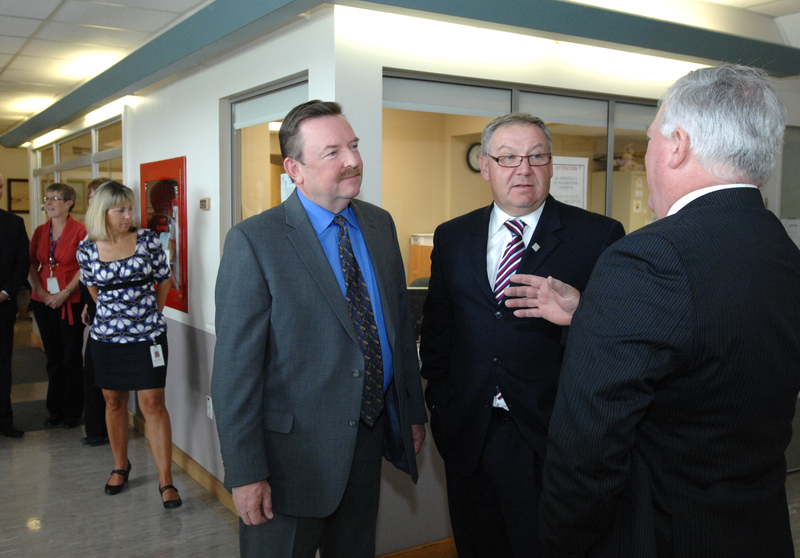 Premier Darrell Dexter (centre) and Cumberland DHA CEO Bruce Quigley listen to Cumberland Health Authority Board chair Bruce Saunders during a chat at the opening of the All Saints Collaborative Emergency Centre in Springhill. Premier Darrell Dexter shakes Cumberland Health Authority Board chair Bruce Saunders's hand. The site of the Springhill All Saints Collaborative Emergency Centre, the second such centre opened in the province. RN Janine Ryan shares her perspective on the collaborative emergency centre at All Saints Hospital. Premier Darrell Dexter says people get frustrated with long waits for health care and the centre will help ease them. Premier Dexter says the Better Care Sooner plan is about providing consistent, quality health care to every Nova Scotian. 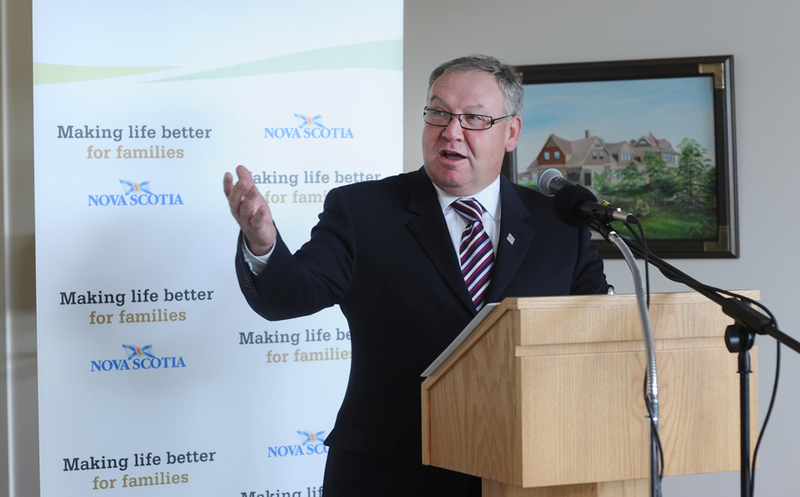 Bruce Quigley, CEO, Cumberland Health Authority, says it is an excellent opportunity to provide health-care services.